Make adorable animals to impress your friends and family in My Egg-Carton Animals. Transform egg cartoons into amazing animal creations – with detailed instructions provided, creating mini masterpieces has never been so easy. 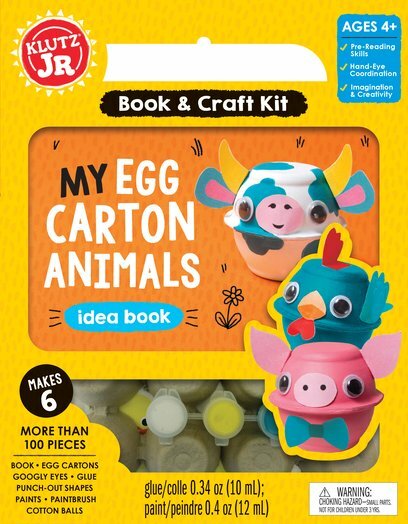 The kits comes with a mini half-dozen egg cartons and all the materials you need to make some super-cute creatures. Will you make a bunny, a chick, a frog or all of them?